The online gambling operators Betsson, ComeOn, GiG and Kindred have announced the founding of a new lobby association, NBO. Sweden regulated its online gambling market on the 1st of January, 2019, joining many other countries in this regard. Norway, however, is not one of them. To encourage the government to rethink its restrictive gambling policy, operators have just joined forces to create a new lobbying association. Online gambling operators Betsson, ComeOn, GiG and Kindred have recently formed the NBO, an association in the Norwegian online gambling industry. The purpose of this association is to call on the country's government to abandon its monopolistic position and to instead establish liberal gambling legislation. This will allow operators with an international license to apply for a Norwegian license, to legally offer online gambling there. This association wants to fight for the creation of a more liberal gambling regime in Norway. According to the lobbying association, the Norwegian government's monopolistic position is ineffective. This is because it allows players from Norway to only participate in state-run games, and it ignores much of the market over which the state has no control. Leading the way are Denmark and Sweden, which have moved to regulate reliable operators, which is believed to be the proper way forward. Will this lobbying group influence the laws of the Norwegian government and encourage them to change their minds? The answer is still very unclear, but we will tell you if something happens. 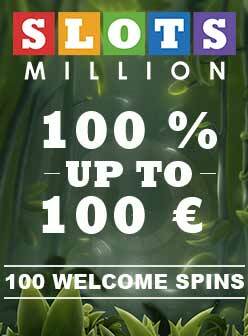 In the meantime, you can continue to play in online casinos such as SlotsMillion, LeoVegas or Cashmio.